Theatre folk and the Opposition criticises competition that offers large prizes for tunes that eulogise the administration's achievements. Over the past four years, Goa’s Bharatiya Janata Party government has found itself in several face-offs with the influential folk theatre community that keeps alive a century-old performance tradition known as tiatr. The most recent controversy erupted last week, when Goa’s Information and Publicity Department announced a competition, urging tiatrists to compose original songs eulogising the government. An advertisement issued on Thursday announced a Konkani Kantaram Utsav (or Konkani Song Festival) on March 8, specifying that the compositions must be “based on achievements of the present government and emphasising the schemes implemented for the welfare of the state in order to bring awareness among the people”. Cash prizes amounting to Rs 50,000 are up for grabs. The event is being hosted by the Information and Publicity Department in collaboration with the government-funded Tiatr Academy of Goa. Sensing trouble, the government issued a note clarifying that the mandate of the Information and Publicity Department was to spread awareness about official schemes using a range of media. Employing popular songs is a legitimate method, it said, along with printed booklets, broadcasts and advertisements. But not everyone is buying that line. 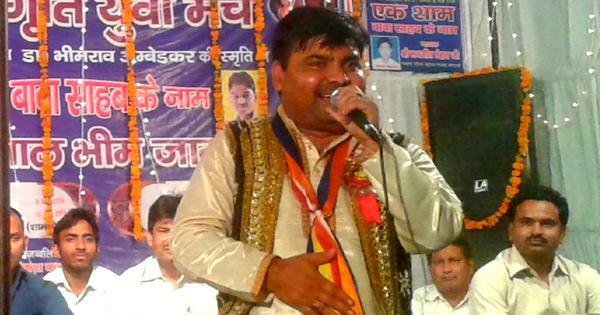 Well-known tiatr artist and former Goa Assembly speaker Tomazinho Cardozo told Scroll.in that since the rules for the competition specified that adverse remarks could not be made against the government during the competition, the BJP was probably attempting to create a bank of Konkani songs favourable to it. Kantaram (or songs) are a vital part of the hugely popular form of tiatr. The vaudeville-like stage shows that could feature 16 kantaram about daily life, love, social and political issues that spice up the time between set changes. Many kantaram are sharply political, offering incisive comments on public life and local issues. As anyone who has followed a Goan election well knows, Konkani kantarim (or songs) are often deployed during campaigns to add an edge to a candidate's appeal. But as Cardozo points out, cantarists who sing about social and political issues tend to be critical of the government. Though the criticism has stung several politicians cutting across party lines in the past, it has more broadly singed the government. Over the past four years of BJP rule, kantars and tiatrs have ridiculed the government on several issues, including its recent ruling that the coconut palm isn't really a tree. Last year, a prominent political singer released a CD titled No More Ullu Banawing (Don’t Make Fools of Us Anymore). It isn't surprising that some MLAs and other right-wing groups that had been feeling the heat brought pressure on the government last year to consider censoring tiatrs. But the government's suggestion that groups would have to present their scripts to a board resulted in an avalanche of protests from Konkani artists, their fans, and the Opposition ensued when the Goa government had, last year. The proposal was eventually dropped but not before it further soured the relationship between artists, singers and the government. As a result, while many tiatrists have expressed their opposition to the contest, the immensely popular actor Miguel Jacob Fernandes, who goes by the stage name of Prince Jacob, feels differently. He said that the competition could help bridge the gap between the tiatrists and the government.